I can’t believe this was ever true about me, but I used to not eat meat if it was still attached to bones. Seriously. I ate it only if it didn’t too closely resemble the animal that it once was so my meals consisted of a lot of ground beef, chicken breasts, and deli meats– not super exciting. Then, on a visit to a friend in Baltimore, I ate the most magnificent roasted chicken still on the bones from a Peruvian restaurant and I was a changed woman. It was so full of flavor and tender and just plain delicious that I did away with my silly old rule and have not looked back since. It should also be mentioned that chicken is one of my least favorite meats. In general I find it to be rather dull and it is often the last thing I will order at a restaurant unless of course it is the restaurant’s specialty. You don’t go to the Chicken Shack and order fish. You just don’t. At any rate I have discovered that roasting a whole chicken is not only easy-as-pie it is also mouth-wateringly delightful when done right. After marinating you throw it in a roasting pan– you can add carrots, celery, and onions if you so desire (I did not), and then roast it in the oven for a little over an hour and voila! A beautiful roasted bird, bones and all. Put the chicken in a large bowl. Add the oil, lemon, and sage; toss well. 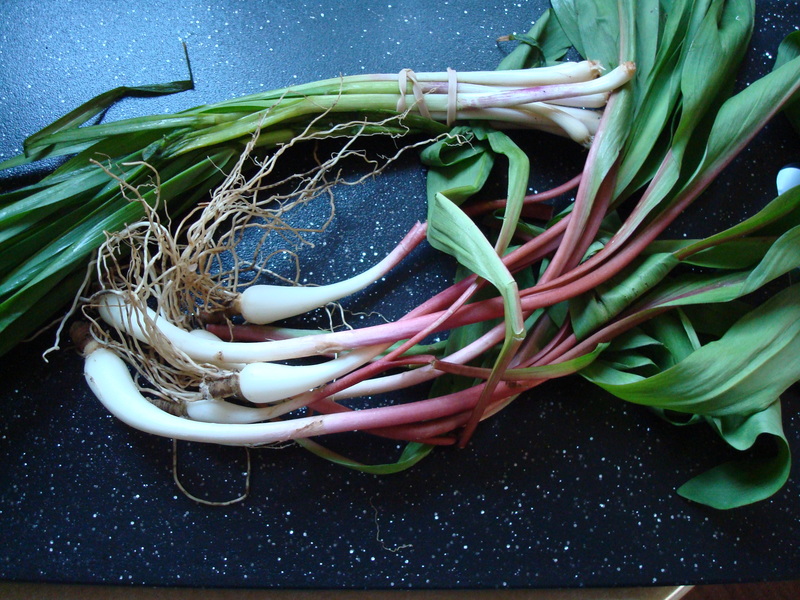 Cover tightly and transfer to the refrigerator to marinate for 24 hours. 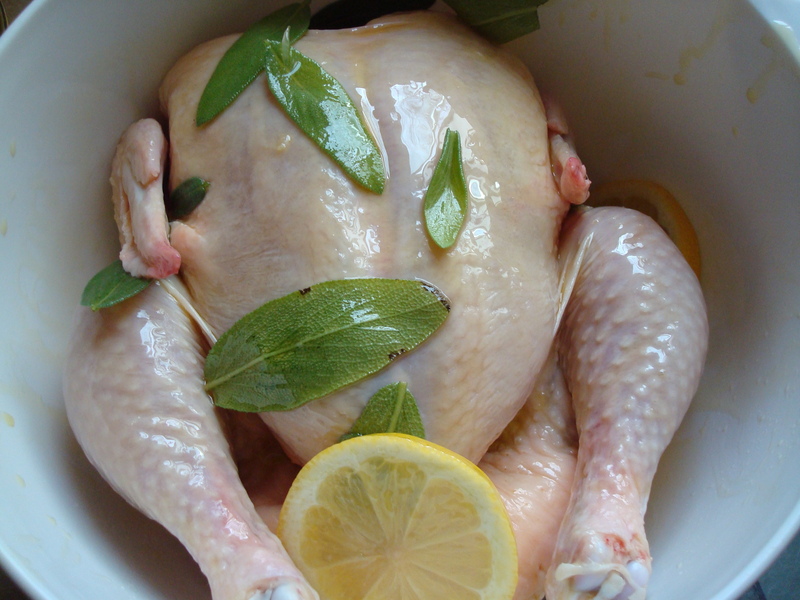 The next day, let the chicken stand at room temperature for 30 minutes while the oven preheats to 450 degrees. Sprinkle the chicken inside and out with the seasoning. 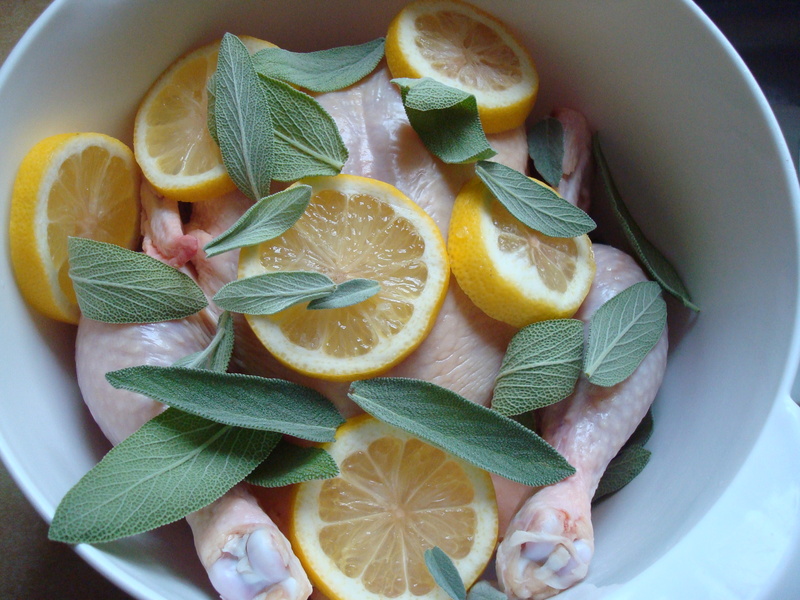 Remove the lemon slices and sage from the marinade and stuff them inside the chicken cavity. 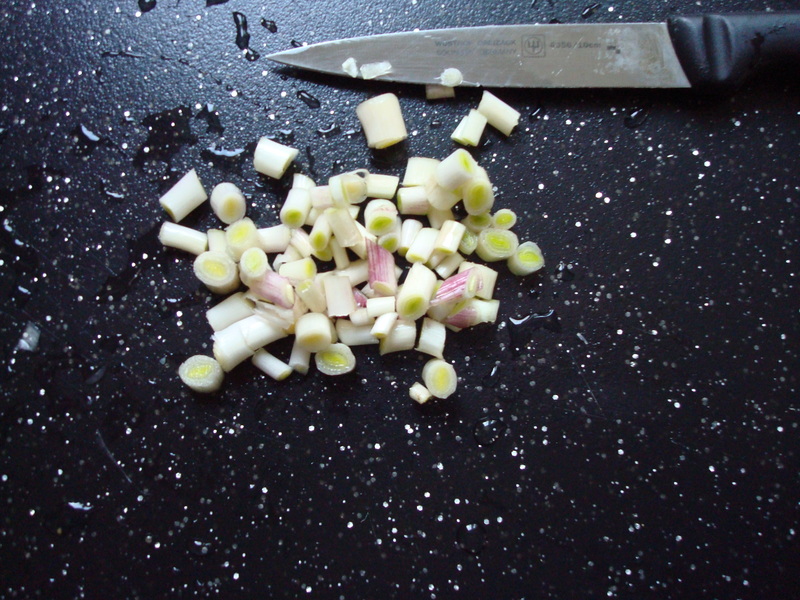 Scatter the carrots, celery, and onion, if using, over the bottom of a roasting pan. Pour just enough water into the pan to cover the bottom. Arrange the chicken, breast-side up, on top of the vegetables, if desired, or place the chicken on a roasting rack over the vegetables. Transfer the pan to the center oven rack; roast for 20 minutes. Baste with the pan juices, and continue roasting, basting once or twice, for 25 minutes more (if the chicken is not golden-brown all over at this point, continue to cook for 10 more minutes). Reduce the heat to 325 degrees. 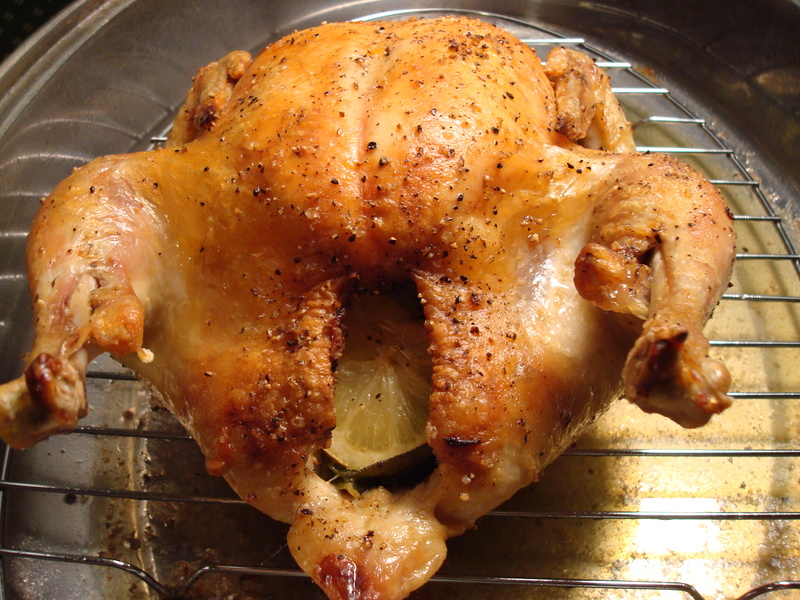 Finish roasting, without basting, until an instant-read thermometer inserted in the thickest part of the thigh reads 165 degrees, 20 to 25 minutes longer. Let the chicken stand for five minutes before carving. 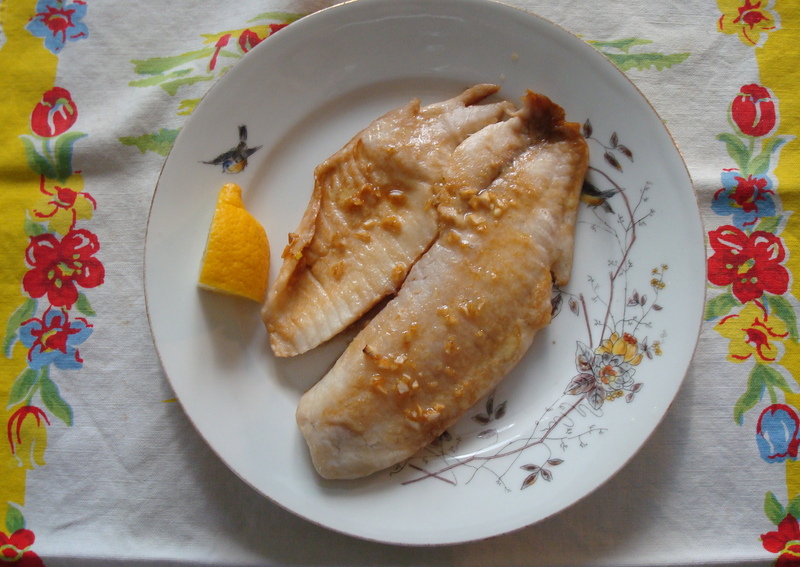 Serve with the pan juices and vegetables, if desired. 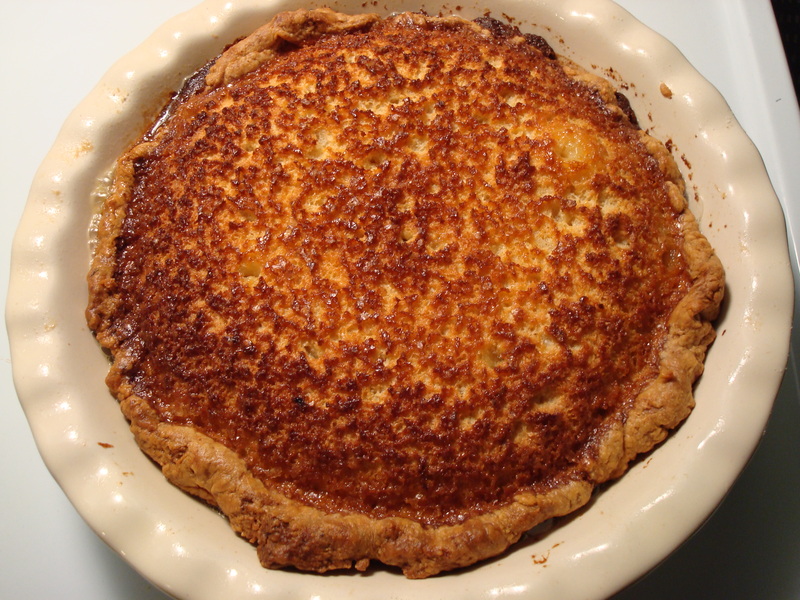 I liked the first two chess pies I made for this here blog so much that when I saw a recipe for a lemon-buttermilk version I decided to try it a third time. 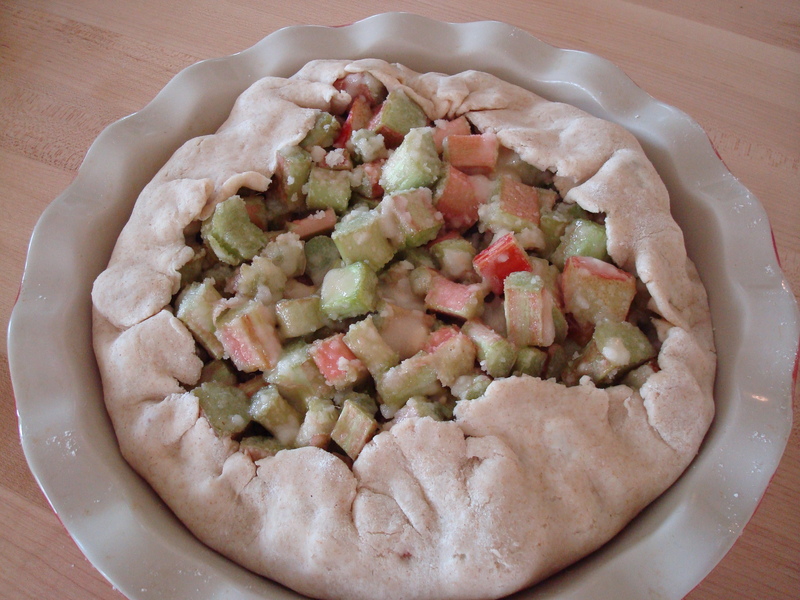 Before you get to the filling part of this pie you first have to make the crust. 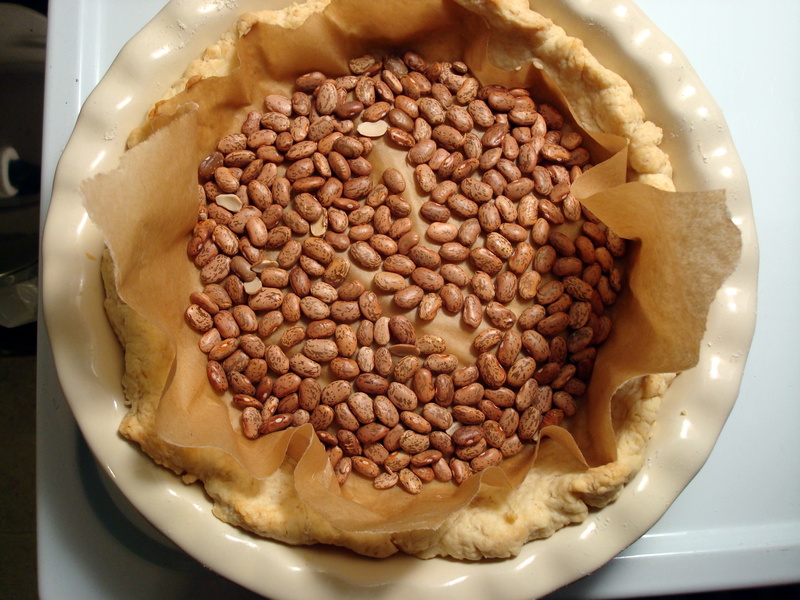 The recipe recommended using pie weights or dried beans over parchment paper to keep the crust from bubbling up and since I don’t have pie weights I used some dried pinto beans I had in my cabinet. It worked like a charm, though please note: I highly recommend making the crust edges taller than you think they ought to be because it shrunk up pretty good when I baked it. 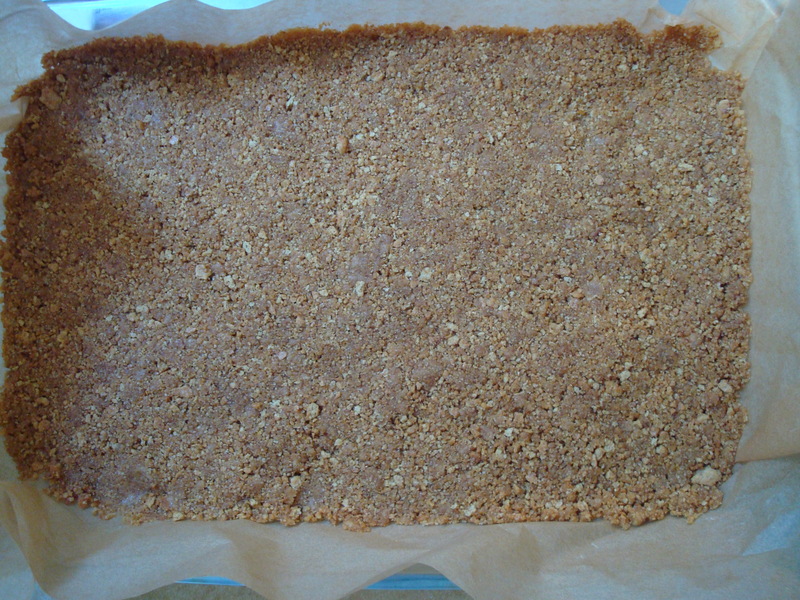 I actually couldn’t fit all of the filling in so had to throw a little out and I never like to throw food out, particularly when involves things like butter and sugar, so take my word for it and make the edges nice and tall! 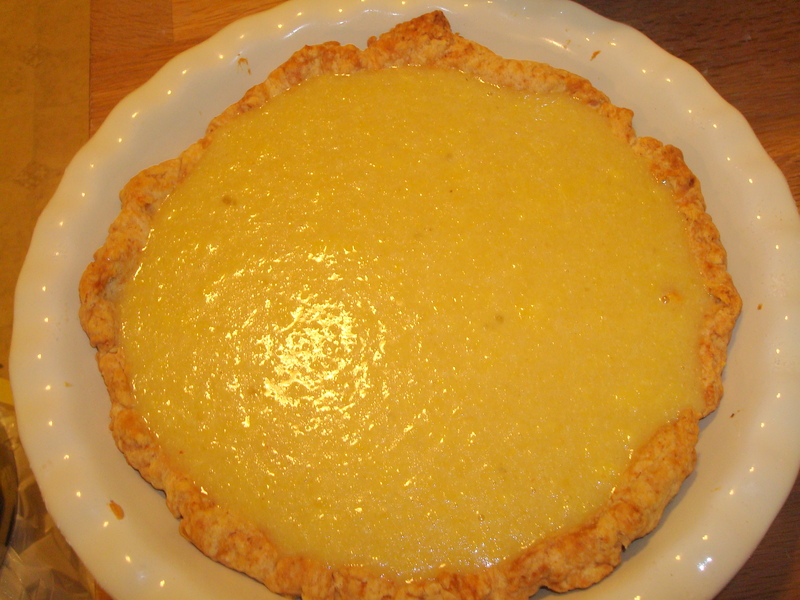 The filling consists of eggs, butter, sugar, lemon zest, lemon juice, buttermilk, and cornmeal amongst a few other necessary ingredients like vanilla and flour. In other words, heaven. 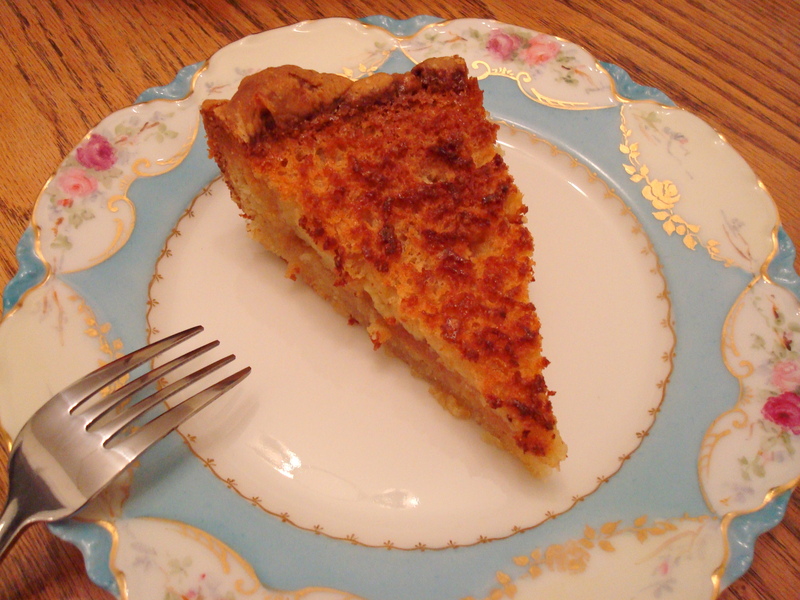 It baked up into a lovely golden brown and was very tasty. 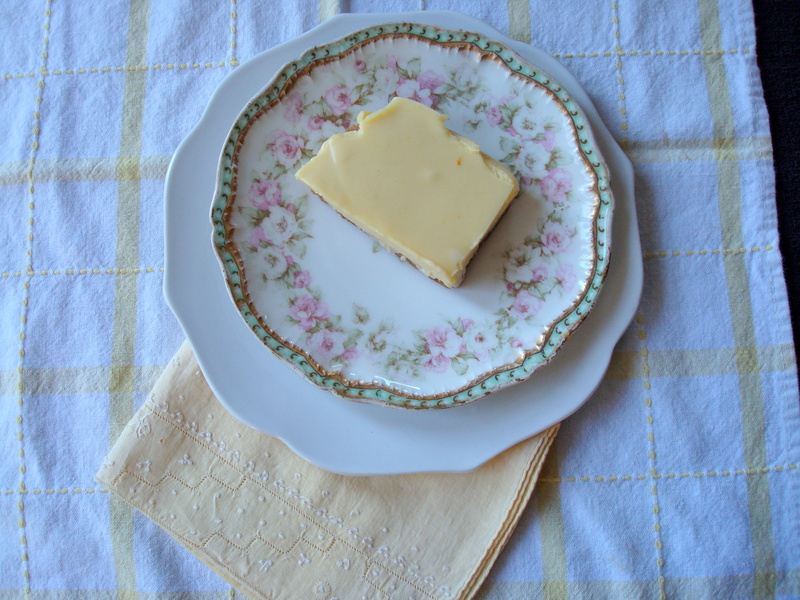 This would be a nice addition to your Thanksgiving pie menu as it’s quite light and the hint of lemon is refreshing. Don’t get me wrong, I love some of the heavier pies of the season (pumpkin, pecan, sweet potato, etc.) but it’s always good to have another option, too. I plan to get a few more recipes posted before the big day so be sure to check back for more ideas! 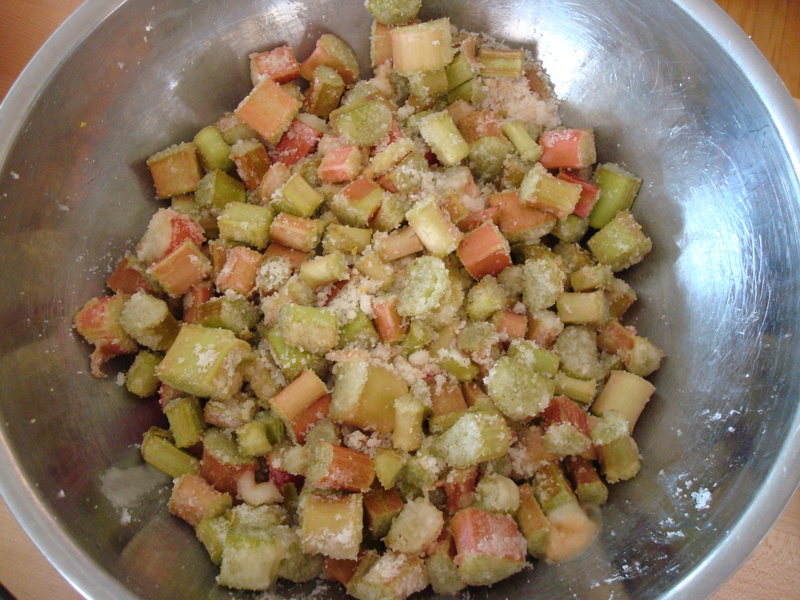 Mix flour, salt, and sugar in a food processor. Add butter; pulse until pea-size pieces of butter form. 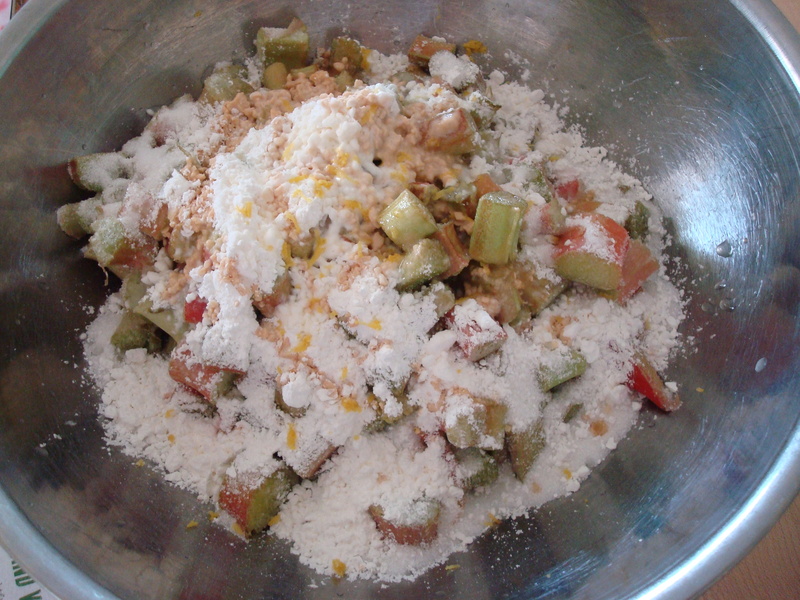 Add 1/2 cup buttermilk; pulse until moist clumps form, adding more buttermilk by tablespoonfuls if too dry. Form into a ball; flatten into a disk. Wrap in plastic and chill for 1 hour. Preheat oven to 350°F. 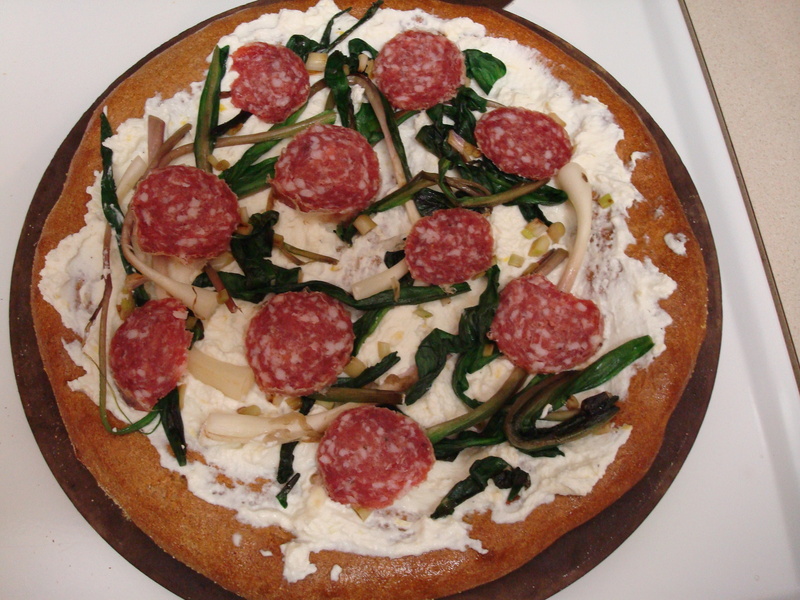 Roll out dough on a lightly floured surface to a 14″ round. Transfer to pie pan; gently press onto bottom and up sides of pan. Trim dough, leaving a 1″ overhang; tuck overhang under. 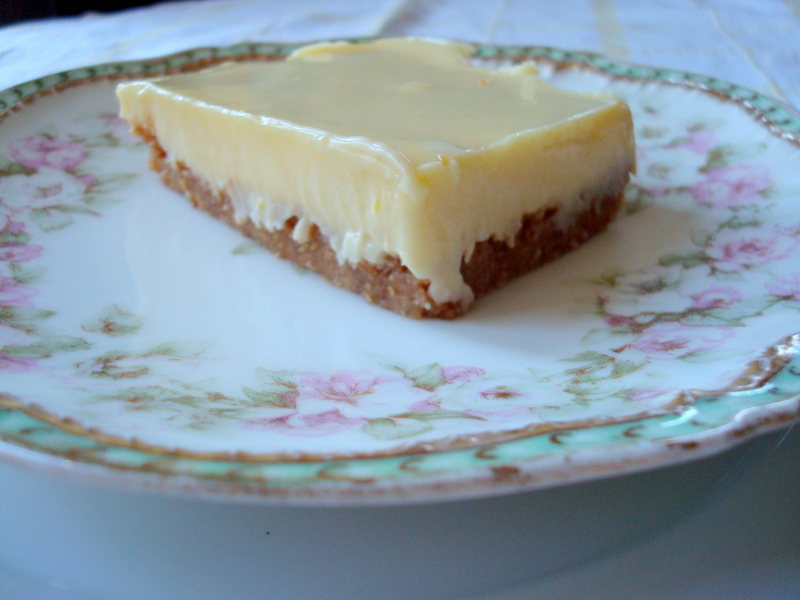 Crimp edges decoratively. 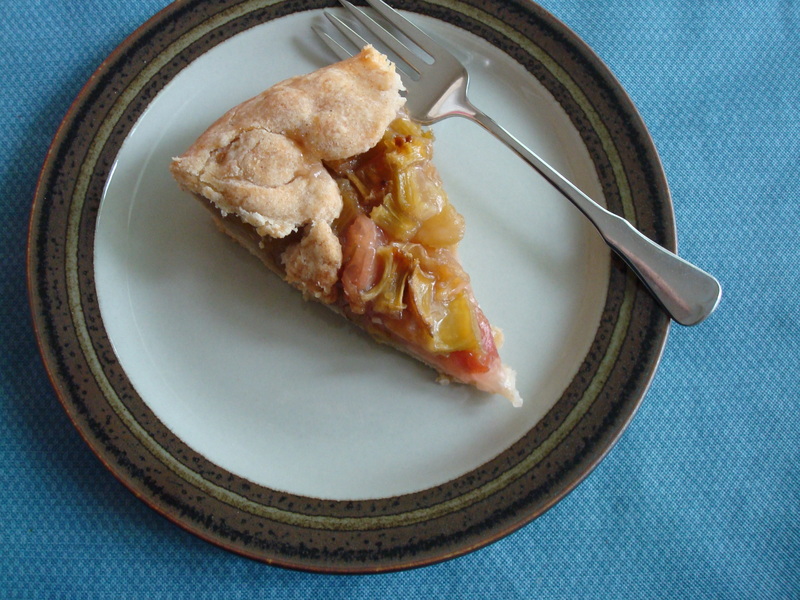 Line with parchment paper or foil; fill with pie weights or dried beans. 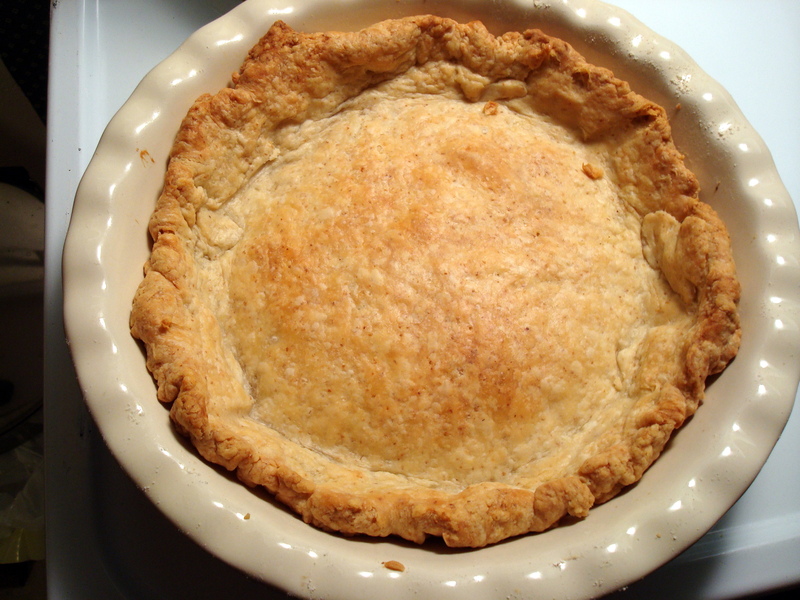 Bake crust until edges begin to brown, 30-35 minutes. Remove paper and weights; bake until golden brown, 25-30 minutes longer. Let cool completely. Preheat oven to 350°F. Whisk first 4 ingredients in a medium bowl until well combined. Whisk eggs and remaining 6 ingredients in a large bowl (mixture may look curdled). Slowly whisk in dry ingredients. 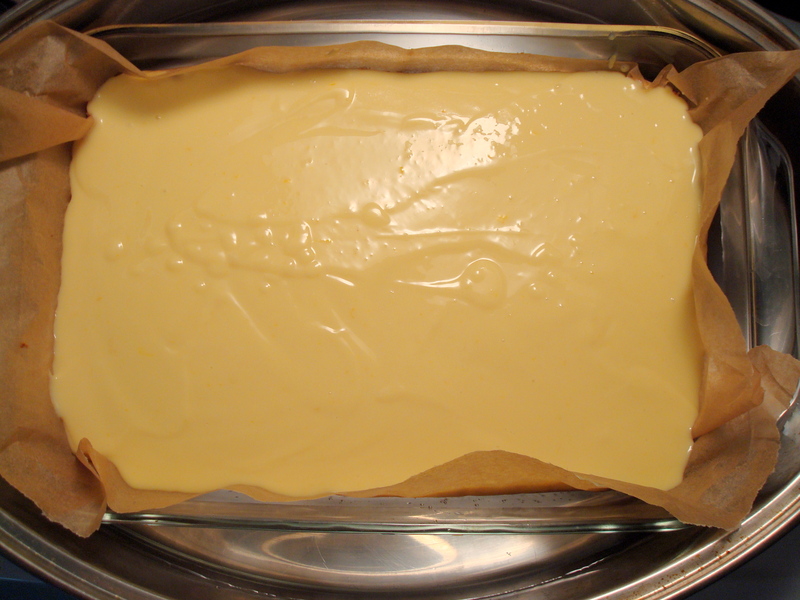 Pour filling into cooled crust and bake until custard is set around edges but jiggles slightly in center, 1 hour—1 hour 15 minutes. Let cool completely on a wire rack. DO AHEAD: Can be made 1 day ahead. Cover and refrigerate. Bring to room temperature before serving.